Tyrone Brooks joined The Tallahassee Ballet as the Artistic Director in the 2013-2014 season. Brooks has a wide-range of professional experience including 18 years as a Principal Dancer at the Dance Theatre of Harlem, New York City (DTH). 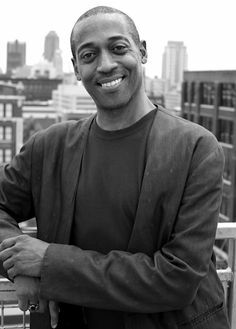 Brooks has been featured in a number of acclaimed performances including Alvin Ailey’s The River, Eugen Loring’s Billy the Kid, Jerome Robbins’ Fancy Free, Michael Smuins’ A Song for Dead Warriors, Medea, and John Butler’s Othello. Brooks has also performed internationally in Austria, Brazil, France, Germany, Italy, Israel, Japan, Norway, Spain, Switzerland, Venezuela, South Africa, and Russia. Additionally, Brooks has been featured in performances by celebrated choreographers George Balanchine, Agnes DeMille, Geoffrey Holder, Garth Fagan, Jerome Robbins, Alonzo King, John Butler, John McFall, Robert North, John Taras, Billy Wilson, and DTH Founder and Artistic Director Arthur Mitchell. Brooks was the Executive Director of Virginia School of the Arts before becoming the Artistic Director of Tallahassee Ballet. Dance Theatre of Harlem Trailer from CityDance on Vimeo.